…jazz and soul. 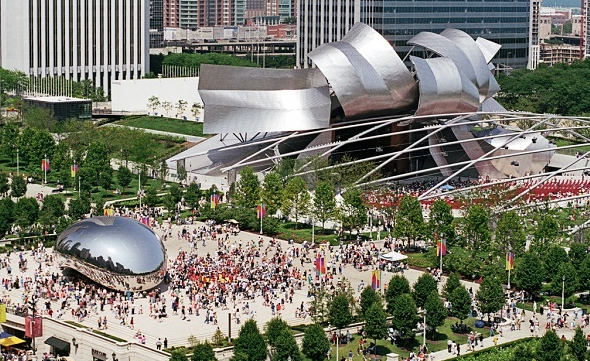 There are a multitude of popular nightclubs, comedy clubs and music venues throughout Chicago but perhaps the most appealing to me was the outdoor setting at Jay Pritzker Pavilion. I'd check the concert venue and make this a part of my next trip. Concerts must be magical here under the starts or the lights. Give me a blanket and a bottle of wine on a grassy field almost any day over an indoor venue, but Chicago offers both. Catch a show at Buddy Guy's Legends, where local blues acts play every night of the week and larger-scale touring acts come through on the weekends. Blue Chicago in the River North neighborhood is known for blues women singers. House of Blues Chicago opened in 1996 and is located in the historic Marina City complex on the Chicago River. In keeping with tradition, the House of Blues Chicago displays the "Crazy Quilt" and keeps a metal box of mud from the Delta Mississippi underneath its stage. 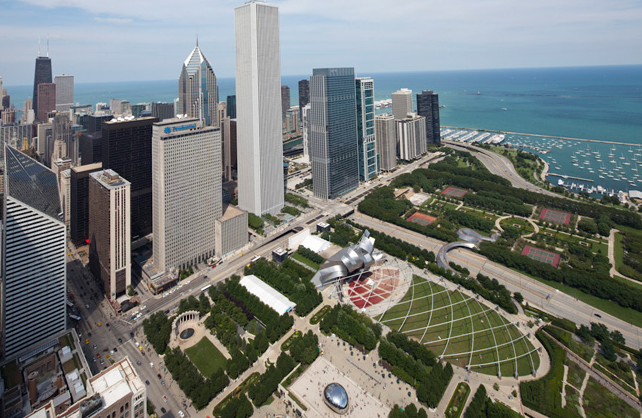 You haven't truly shopped until you've shopped Chicago's famous Magnificent Mile.